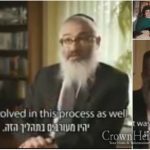 With the 10th anniversary of the Mumbai Attacks, and 10th year since Gabi and Rivky Holtzberg were murdered, we bring back a video series called “Mission of Love” from JEM. Gavriel and Rivka Holtzberg were murdered in a coordinated terrorist attack in Mumbai India on November 28th, 2008. 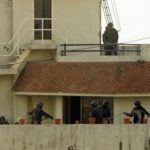 The attack occurred when 10 members of Lashkar-e-Taiba, an Islamic terrorist organisation based in Pakistan, carried out a series of 12 coordinated shooting and bombing attacks lasting four days across the city of Mumbai. The attacks, began on Wednesday the 26th of November, and lasted until Saturday the 29th of November 2008. In the attack, 164 people died and 308 were wounded. The Nariman House, which housed the Chabad House, was one of the locations targeted. Although Gavriel and Rivka did not survive, their son Moishe, was saved by the nanny, and escaped. Holtzberg NEVER should have been sent to such a dangerous place.